Home » » What's For Dinner? Funny What's For Dinner? Mother Text Conversation. What's for dinner tonight? Steak. 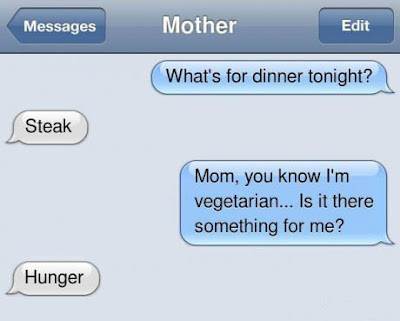 Mom, you know I'm vegetarian... Is there something for me? Hunger.